Marketing teams are increasingly shifting from a desire to understand what customers are doing, to why they’re doing it and the emotional and behavioural attributes that lead to their decisions, IBM VP of customer engagement solutions, Kevin Bishop, claims. Understanding customer motivation is critical to driving relevant messaging at the right time and through the right channels. And technology – in particular, platforms that not only automate the way communications can be done, but also bring disparate together data and actually learn how to make connections and improve the way we create communications– are going to make a very big difference to how marketers do their jobs in future. It’s this data-led, engagement vision IBM is looking to facilitate through its disruptive cognitive computing platform, Watson. Earlier this year, the vendor announced it was bringing cognitive computing services into its Marketing and Commerce Clouds for the first time. And in September, Real-Time Personalisation, was released to market. The tool sits within the cloud-based marketing platform and learns, advises and suggests the types of offers and messaging that should be shared with digital customers in order to promote better engagement. During the recent IBM Customer Engage Forum in Sydney, CMO sat down with Bishop to talk about the vendor’s plans to shake up marketing using cognitive, and what it means to the skillsets and function itself. Bishop is responsible for customer engagement solutions within the IBM Commerce portfolio, and previously led brand and workforce engagement initiatives across the vendor’s 430,000 employees globally. What were the key messages you hoped marketers would take away today around IBM’s cognitive computing journey for marketing? There are three key things. The first is that we’re living through a time where things are genuinely changing. We really do believe that how we work is going to be very different in future because of this technology. That’s not just marketing, but all different industries and roles. That’s a statement, but one of the things we’re trying to instil is belief. It helps if you hear this from someone you trust, so we’re working with brands like the North Face, Performance Bicycles and Red Bull to showcase how they’re using these technologies in a real way. It’s also about believing in things because you’ve tried them yourself. We launched our Personality Insights test using AI as a way of allowing marketers to see just how much the system does know about you, while showing how you interact through syntax and natural language. And if it’s true for you with your customer, it’s also true for you and your profession. Cognitive is disruption your role if you’re a service professional or a banker – it’s both changing the way you deal with your customer, as well as how you do your job. 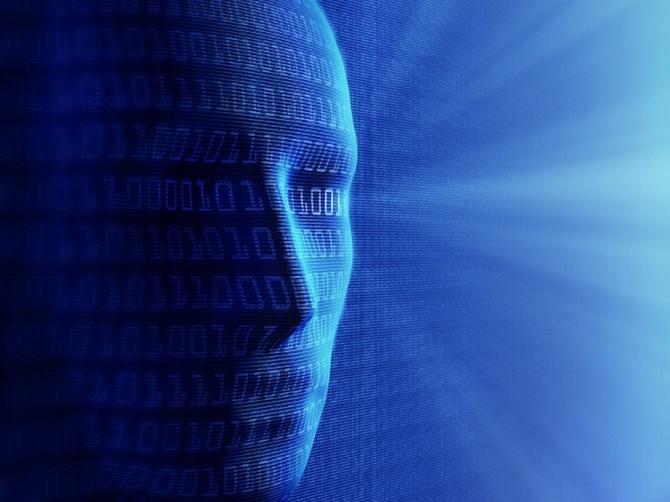 Many organisations still haven’t worked out how digital disruption changes the nature of business and customer relationships, let alone artificial intelligence. Do you need to work out digital before you can enter the era of cognitive? I don’t think so. One of the big points about cognitive is that it interacts with you in more normal ways, and it reasons. You can see multiple examples of different technologies, whether it’s ours or Apple’s Siri, interacting in more normal ways because they’re speech based. With IBM’s cognitive solution, we also now have the ability to interpret images, such as photographs. You don’t have to tag them yourself, computers can recognise everything in the pictures that they know about. An interesting example we had recently in the US was with Trail Blazers, which had asked customers coming to visit Austin, Texas what activities they were interested in engaging in. Many said they wanted to watch, rather than participate in sport, so the team suggested the Grand Prix, baseball and a few other activities. The Grand Prix was sold out, but what Watson suggested was that those interested visitors could hire a kayak from a place on the river and watch it from there. The team hadn’t realised it, but through the cognitive process, the system had worked out you could hire a kayak and by putting it in the river, see the Grand Prix. Cognitive is actually doing the reasoning to connect things together and seeing patterns we may not see. So do you have to understand digital first? I’m not convinced you do, because Watson is becoming more human in its use case. You just have to imagine what you’d like to do. And that’s about unleashing imagination. Going through the intermediate digital step could in fact constrain you. At present, there seems to be a lack of vision from businesses about how cognitive can be employed. Is that the biggest challenge facing its deployment? Until you’ve seen some of these things, it’s hard to imagine what you might do with cognitive. But once you see a few use cases, you start to link it to problems you might have. One of the things we encourage IBM staff to do is a ‘seeing tour’,where they go out with a friend or colleague, with a very focused way of looking, to identify applications of technology in a particular context. That is about teaching our colleagues to see and think about things differently so they can have a dialogue with their clients about the possibilities. IBM kicked off cognitive in marketing with Real-Time Personalisation, but in presentations you’ve showcased a range of different ways marketers can interact with Watson to do everything from image selection to look-a-like modelling, campaign optimisation, and more. What does the product roadmap look like? The purpose of our demonstration is to be a concept car. The whole car might not be quite what you’re looking for, but you might like some of the elements. We want to get that discussion going with people around cognitive. We have two different strategies: One of these is how we build this into our products; the other is making this available to partners – and even competitors – so they can use some capability in their environments in a way they see fit. With our own products, we’re showing examples of what we think you’ll want to do, then working with customers, including Telstra, to help us imagine how cognitive could work. As marketing technologies that empower client-side brand teams come to the fore, how do you see this changing the role of agencies? Do you see agencies providing these technology-led services, for instance? IBM has been shifting its relationship with agencies for some time, and we look for thought leaders within those agencies to work with us on different types of remuneration models. For example, a big part of the agency model in the past was paying for a package of expertise upfront because the agency was building your app. We have divorced those two things – you need expertise, whatever that expertise is in, then people who construct things. People are changing the cost equation to suit. One of the things companies struggle to have enough of is imagination, so they’ve gone to agencies for it. I don’t see that changing, but it’s imagination increasingly around experiences, rather than a 30-second advert, or the interface on the digital screen, that’s going to count. How do these experiences connect together? As a client, I think we should be willing to pay for people who help us imagine wonderful experiences. When it comes to actually building these things, I agree many brands have moved those skills in-house, and that’s because it’s become very easy to do with the technology now available. Is there a danger, if we’re so technology driven, that creativity itself gets lost? I don’t think so. We’re using data, but we’re starting to understand people’s emotion, sentiment, tone, body language through the way people stand in images and interpret that. That’s what we do when we interact with each other physically. All we’re doing is processing more of the signals as data. That should allow us to be more natural and respond in ways that are actually more human. If you’re looking bored, thenlet me switch my conversation to a tone that’s more animated or a shorter sentence.